Home » Arts & Entertainment » RIP Zach Sobiech. See You in the Clouds! RIP Zach Sobiech. See You in the Clouds! I have always been a huge fan of Joni Mitchell, but one song stands out to me as truly special, Both Sides Now. It talks about clouds, love and life, each of which has offered ups & downs, gives & takes and wins & losses. She looks back upon life and realizes that the same optimistic wonder that she had as a child has left her with confusion about their meaning and purpose as an adult. Today, as we watch the devastation caused by the tornadoes in Oklahoma, we may not notice the passing of a young man in Minnesota whose life gave some clarity to Joni Mitchell’s search for answers. 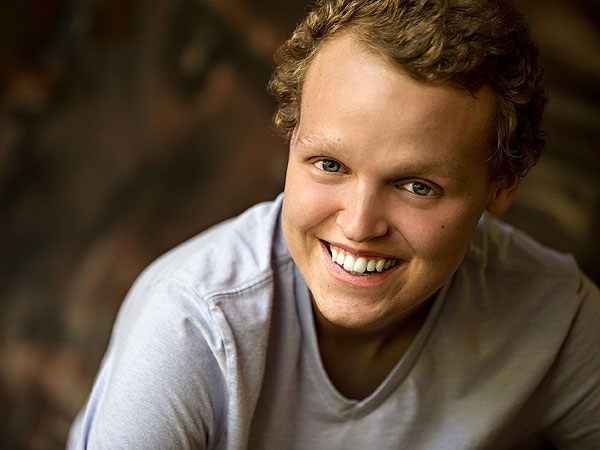 Today, the world lost an amazing young man, 18 year-old Zach Sobiech, to osteosarcoma. Zach fought the fight for four years and was recently told that he only had a few months to live. His mother suggested that he write letters to his family members, but he knew that wasn’t his strong suit, so instead he picked up a guitar and began to write songs to express himself. The first song he wrote, Clouds, offered his family answers and comfort about his hope to meet up with them again someday. He saw the same ups & downs, but chose to focus on the positive. Throughout the journey, he chose to smile and be grateful for what he had. He left his family with a gift through his music and now we can all enjoy the message he left behind. A message of gratitude, hope and Jenerosity. Maybe if Joni Mitchell fell down the same “dark and lonely hole” Zach fell down, she would have risen “up, up, up” and seen the nicer view from the clouds above. He seemed to understand love and life. You can donate here to the Zach Sobiech Osteosarcoma Fund.